Have you got a leaking pipe and in need of an emergency plumber Wirral or Chester. Is the emergency a midnight call or in the middle of the day with water pouring through the ceiling. Martin Smith specialises in emergencies on every day of the year. There not just Martin that comes out but a host of other emergency plumbing engineers covering the whole area making us possibly the most relaible company in the area of Wirral or Chester plumbing emergencies. 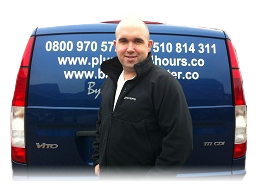 Our main engineer covering the arae of the Wirral is Thomas Sweeney who is a fully qualified plumber and a gas safe registered engineer who can also work on boilers and any central heating break-downs within the home. Were not just an emergency plumber Wirral & Chester plumbing service as we also take on other plumbing issues such as central heating boiler replacements. We are a very honest company with a massive recommedation base of clients. Maybe your looking for a boiler service once a year or your complate bathroom refurb. Require a 24-hour plumber in an emergency for a plumbing problem or issue, then give us a call but before givign us a call please feel free to take a look at our plumbing articles as listed below when it comes to any plumbing emergencies when calling an emergency plumber Wirral or Chester 24-hours. Leaking Water, Should I call the Police? Leak Coming Through Ceiling From Attic? These article are just some of our article we have on our plumbing articles page which in toal make up 150 plus article, which Martin Smith has taken time in given fellow plumbers a further education in experince of plumbing emergencies. We also include plumbing news for related jobs where occupants have called us out as an emergency plumber Wirral of Chester. Before booking our service we would like you to consider where your able to stop the water leak so that it becomes mroe cost effective booking us in the day rather than calling us for a midnight plumbing emergency. If you do requires us to come out then dont worry what ever time your calling us as we are use to taking emergency plumbing call-outs.